My third high-tech eco-thriller, Dry Ice, was released in paperback in April 2012 and in hardcover and electronic editions in August 2011. 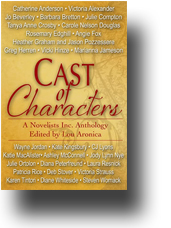 And my short story, Killing Time, appears in the Novelists, Inc. anthology Cast of Characters, which was released in March by Fiction Studio. It's available in trade paperback and e-book editions on Amazon, B&N, Fiction Studio, and other online retailers. 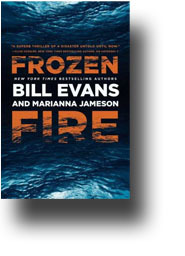 I'm delighted to be part of the anthology, which includes fabulous short works by 28 leading voices in fiction - including 11 New York Times bestselling authors. I invite you to revel in this anthology of all-original stories. My contribution to the anthology, Killing Time, is actually an early chapter of my next release, Resurrection Island, which will be released in the autumn of 2012. Weaving together threads of dark humor, black magic, and tortured romance, Resurrection Island tells the story of two cousins who grow up and apart, and are thrown together in a tragic tangle of crime and passion. After the unexpected death of her husband, Susanna Jackson Walker, a former prosecutor turned soccer mom moves from Greenwich, Connecticut back to quaint, quiet Resurrection Island, Georgia, where she grew up. Seeking peace and a new start for herself and her three small children, Susannah finds instead a thriving, hidden network of drug-running, human trafficking, and murder ruled by her cousin, the elegant, adorable, thrice-widowed business woman and beauty queen turned drug "queen pin", Merrilee Chastain. Resurrection Island is a thriller that mixes the quirky, rarified society of the old, monied South with the vicious, gritty world of modern drug lords-a combination I find irresistible. Stay tuned for updates on the release date! 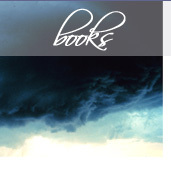 You can also go to the NINC website and subscribe to our "Set Pieces" promotion, in which you'll receive a free e-book of more exciting short fiction from our authors. Please wander around my site. There's something for everyone here! 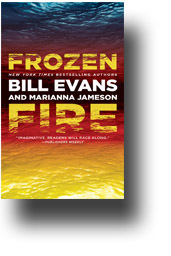 I have excerpts from each of my books, Dry Ice, Frozen Fire and Category 7, and articles on some of the research that went into writing Frozen Fire. And for the fans who knew me as a romance writer first, I have excerpts from My Hero and Big Trouble here, too. 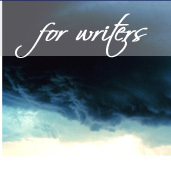 I've added a page for writers, which contains some articles I've written about interesting places to find wow-factor research and links to other information writers might need. I'll expand that as time allows. But for now, well, I just hope you enjoy your summer. 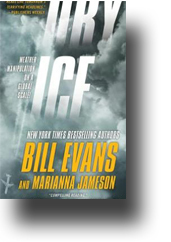 Carter Thompson, an unassuming yet clearly disturbed billionaire with revenge on his mind, murder in his heart, and absolutely nothing on his conscience, chooses weather manipulation as his weapon of revenge when carrying out a political vendetta. 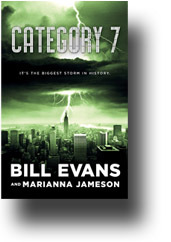 He creates Hurricane Simone, which at a Category 7 is the biggest storm in recorded history. Flint AgroChemical's newest installation, TESLA, is in the driest, coldest, darkest, most remote spot in the world: the high central plain of Antarctica. The scientists there have cracked the code to controlling the world's weather. Upon being told he's being replaced, the installation's sociopathic lead researcher, Greg Simpson, hijacks this game-changing corporate weapon and turns it against the agro-industrial giant, and the world at large. A huge volume of 28 stories ranging from romance to suspense to fantasy to comedy to poignant character pieces, Cast of Characters is a must-have book for everyone who loves fiction.